Supporters of the All Progressives Congress and the People’s Democratic Party on Monday clashed during a campaign rally in Omuo Ekiti, headquarters of Ekiti East Local Government Area, with no fewer than 20 persons sustained various degrees of injuries. 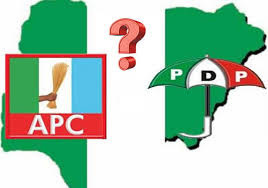 The members of the APC were said to be holding a joint rally for the senatorial candidate in Ekiti South District, Prince Dayo Adeyeye and the House of Representatives candidate in Ekiti South Federal Constituency, Hon Femi Bamisile when the suspected PDP thugs invaded the rally and launched attacks on them. Those who allegedly carried out the attacks were those loyal to the Senate Minority Leader, Senator Biodun Olujimi and senatorial candidate of the PDP in Ekiti South. Some APC supporters, Adeniyi Saliu , Kayode Ojo and Adeniyi Ayo , who were victims of the attack sustained deep cut in the heads, back and stomach, had been referred to Ekiti State University Teaching Hospital, Ado Ekiti for intensive medical care. Another 15 others were said to have been wounded during the unexpected attack. It was gathered by our reporter that those who committed the crime had fled the town and are now being trailed by the police for possible arrest and prosecution. Former Speaker of the Ekiti State House of Assembly and an APC House of Representative candidate, Bamisile described the attack as unfortunate and a threat to democracy. Bamisile said the desperation of some of the PDP members is nothing but an attempt to subvert democratic consolidation. He, therefore, called on the security agencies in the state to apprehend the perpetrators of the latest ugly development in the area without further delay. “APC as a party will not fold arms and watch its members be attacked by members of other political parties, hence the need for a strong warning to troublemakers to retrace their steps and allow peace to reign in the land. “Nobody has monopoly of violence, therefore PDP members should be aware of that, and stop provoking peace loving APC members in the state”. APC senatorial candidate and former Minister of Works, Prince Dayo Adeyeye, warned miscreants and political thugs planning violence and mayhem in the build-up to Saturday general elections to be careful or risk being sent to prison. Adeyeye while reacting to the sudden wave of political violence and attacks on APC members in Omuo Ekiti said the long arms of law will catch up with political louts that were led by one Sunday Awolusi no matter how fast they run. Prince Adeyeye said: “Arresting and prosecuting the suspects will serve as a deterrent to others inclined to political violence. I enjoin the security agencies to be on the red alert to curtail the overbearing influence of these political violence perpetrators. “Ekiti is a peaceful state and nobody should turn it into theatre of war in the name of politics”.